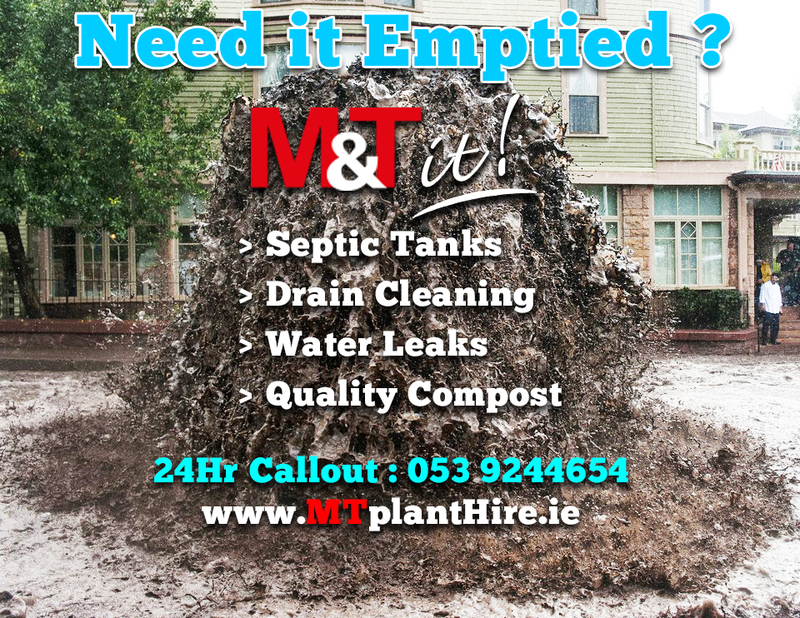 M&T Plant Hire Ltd. is a local owned Irish company & was founded by Tom Murray in 1980. Initially the company was set-up to hire out waste water treatment equipment but the company quickly grew, and now has diverged into various other specialist areas. Today over 25 people are employed by M&T Plant Hire whom are based in Davidstown, Enniscorthy, Co. Wexford but provide a committed service in Wexford, Waterford, Carlow, Kilkenny and Wicklow. M&T Plant Hire Ltd. are specialists in wastewater management. • High pressure drain cleaning. • CCTV surveying of drains. • Certified septic tank, treatment plant and grease trap emptying. • Certified sludge dewatering and disposal in our New state of the art Composting Facility. • Confined space entry. • Domestic, commercial and public works. • No dig repairs. • Fully accredited and insured.